Note: Amanda Jane Pleaters Made in Australia are no longer being made. 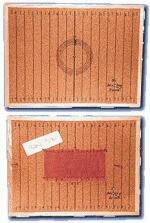 AllBrands imports the Read 16, 24 and 32 Row Pleaters which will continue to be available. Read Pleaters have heavy duty stable base, plate with anti skid rubber feet, extra large side plate opening allowing for large capacity of rolled up fabric, simple pin type roller holding system allows for quick and easy needle access, comfortable and user friendly dual handles for maximum versatility, heavy duty solid brass rollers capable of handling heavier weight fabrics.